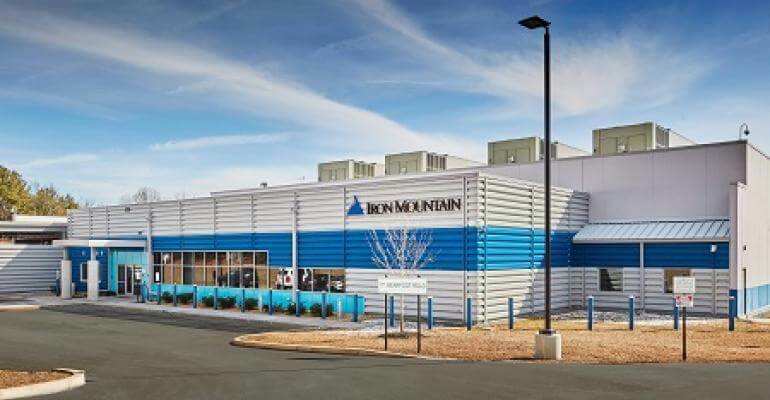 Boston, MA – Iron Mountain Incorporated (NYSE: IRM) today announced the signing of a definitive agreement to acquire Framingham, MA-based Connected Corporation in a cash transaction valued at approximately $117 million. The acquisition builds on Iron Mountain’s mission to protect its customers’ information and to protect its customers through compliant information management. Connected is a technology and market leader in the protection, archiving and recovery of distributed data. Given today’s regulatory, corporate governance and security climate, the need to manage and protect business records and information in all formats and locations is paramount. With as much as 60 percent of corporate information residing on laptops, desktops and other edge-of-the-network devices, businesses need the ability to backup, archive and recover this distributed data. This acquisition is a natural extension of Iron Mountain’s strategy to expand its digital solutions and integrate them with its systems for managing physical information assets. As a result, customers will be able to realize more value from their information through better access and use; reduce the cost of storage and management; and at the same time, maintain compliance with laws and regulations. The addition of Connected’s software products to Iron Mountain’s portfolio offers further flexibility to customers who would prefer to in-source online data backup or archiving solutions rather than choose an outsourced service. Connected is well known for its Connected DataProtector/PC™ product, an industry-leading desktop and laptop data protection solution that is offered as both a subscription service and as licensed software. Currently, Iron Mountain delivers this service to its customers via a partnership with Connected. The DataProtector product also supports the backup and recovery of Windows® servers, which will complement Iron Mountain’s current service offering for online server backup. In addition, the Connected ArchiveStore/EM™ software for email archiving will complement Iron Mountain’s Digital Archives, an outsourced service designed for managing multiple types of information assets, including e-mail, statements and digital images. Iron Mountain will acquire all of the outstanding capital stock of Connected Corporation for total cash consideration of $117 million. For the six months ended June 30, 2004, Connected Corporation reported total revenues of approximately $18 million.The transaction has received the necessary board and shareholder approvals and is subject only to regulatory review and customary closing conditions. Iron Mountain expects to complete this transaction in the fourth quarter of 2004. Additional information regarding this transaction will be provided during the Company’s third quarter earnings call on October 28, 2004 and at its 7th Annual Investor Day on November 18, 2004. Connected Corporation is the leading provider of storage software for automated protection, archiving and recovery of distributed data. The company’s powerful, yet easy-to-use solutions help customers protect and centrally manage data from desktop and laptop PCs, Windows servers and email systems, while eliminating costs and burdens associated with capturing and recovering highly distributed data. Customers range from mid-size businesses to more than 600 of the world’s largest corporations, including Boeing, Deutsche Telekom, EDS, EMC, Hewlett-Packard, SAP, Schlumberger and Toyota. The company’s solutions are offered as a subscription service or as licensed software. Connected is based in Framingham, Massachusetts, with multiple U.S. and international offices. Receive a monthly email from StorageArea.com with home and storage tips and tricks, moving advice and even some fun stuff!